Large Print Press, 9781410457301, 515pp. Allison Taylor adores her adopted city, New York, loving every minute of the invigorating urban hustle. But on a bright and clear September morning, the familiar landscape around her is savagely altered--and in the midst of widespread chaos and fear, a woman living upstairs from her is found, brutally slaughtered and mutilated. For Allison . . . for her neighbor, James "Mack" MacKenna, desperately searching for news of his missing wife . 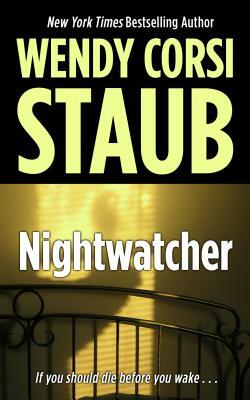 . . for homicide detective Rocky Manzillo, hunting for a monster called "The Nightwatcher" amid the smoking ruins of a devastated city, this tragic day will hold a special horror. Because a different kind of terror has entered their lives . . . and it's coming to claim Allison Taylor as its next victim.